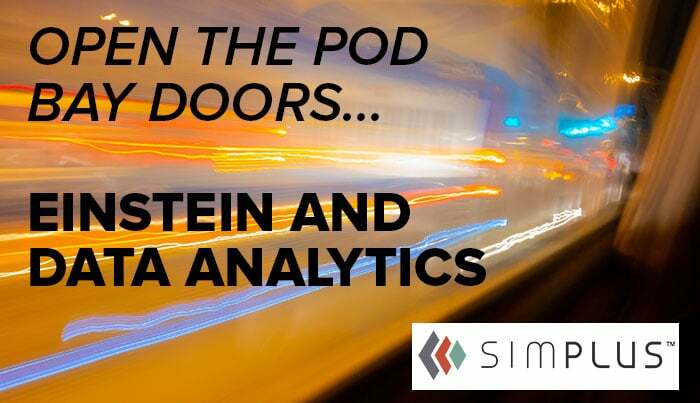 Simplus | Einstein and data analytics: "Open the pod bay doors, HAL"
Without question, my favorite film is Stanley Kubrick’s 2001: A Space Odyssey. The classic movie opened in the spring of 1968 and 50 years after its premiere still ranks as one of the best films ever made and a film clearly ahead of its time. The film’s themes and predictions outlined in its story are as relevant and important today as ever. I am amazed at the subtle nuances and subtext that I notice after each viewing but have never picked up on before. For me, that is a trademark of a great film. I recently attended the 50th anniversary remastered screening in IMAX with my kids. “That movie was cool but what did it all mean?” they asked. I told them that was my exact impression when I first saw it as a 10-year-old. Since then I have personally watched the film over fifteen times at various points in my life. Despite being too young to fully grasp the film’s themes of evolution, morality, religion, and more importantly, artificial intelligence, I realized after the latest IMAX screening how AI heavily influences innovation and transformation and the way we work today. Salesforce Einstein is an AI program that collects and studies data captured by organizations and figures out which factors best predict decisions to make in the future. For example, as a sales manager, Einstein can provide a list of opportunities (data based on complex algorithms and calculations) most likely to close in the next 30 days. Sales managers can increase their close rate by adjusting their focus on opportunities that have a higher likelihood to close. The idea of machine learning through the parsing of data can be a scary concept especially if the program continually learns and evolves through its ongoing feed of data. The continuous onslaught of data allows Einstein to adjust its decision-making model on its own and provide even more powerful analytics to a sales manager. The idea of machine learning and self-awareness is a crucial theme in 2001 (see also the Terminator films). Now, I am not saying that machines are taking over the world, but it does raise the question on our moral, ethical and corporate responsibility to protect and mine data to drive business transformation. To address the question, we must consider two prominent elements of data security: first, data privacy, and second, risk and compliance. The scary truth these days is that most consumer information can be found quickly and without too much effort. What becomes more important for business responsibilities then is not if a company accesses consumer data, but how a company uses that data once it is obtained. It’s important that your business data and consumer information remains your own, so it can be used to improve the lives of your patrons and keep it from those less well-intentioned hands. When you use Salesforce Einstein to drive exciting new data into your business, you also take advantage of other Salesforce features to protect that data: encrypted data and the inherently secure nature of Salesforce software are a great way to add extra protection to your data. Additionally, your business should review the internal confidentiality protocol. Encrypted data: Salesforce uses encryption to defend and protect data. All data on most SaaS sites are encrypted in transit, but the best sites will also encrypt when your data is at rest. Salesforce does this, so when your information is just sitting on a server, it is still protected and won’t be lost to hackers. Security of Salesforce: Because Salesforce specializes in a vast platform depended on by so many businesses, they have to dedicate huge amounts of time just to keep that software secure, and they do it well. Selecting Salesforce over other cloud companies means you’re picking a company which is entirely focused on cloud security and functionality. No other priorities are competing with the security of the Salesforce platform and your business data. Additionally, Salesforce automatically updates and maintains the system with the latest security innovations, so you don’t have to. Confidentiality protocol: Changes in consumer behavior equals changes in data collection, which changes how your business interacts with that data. Have a clear confidentiality process in place, review it often, and adjust practices accordingly when you implement a new data collection system. As part of Salesforce’s high prioritization on security, their compliance standards match specific industry standards. Salesforce must offer security that is relevant and necessary for the online transactions of multiple industries (finance, health, education) due to the nature of its business model. “Salesforce.com’s services are certified as compliant with some of the most rigorous, industry-accepted security, privacy, and reliability standards.” This means FERPA, HIPAA, and more can all be met with Salesforce regulations. Additionally, Salesforce is prime to comply with new regulations like ASC 606 (using Salesforce CPQ) and help you maintain legal compliance, a hugely overlooked area that can actually drive more revenue into your business. Walking out of the IMAX screening reinforced the idea that the landscape of data and business processes is vast and exciting and continues to grow each day. Salesforce Einstein allows you to gain access to those new opportunities and at the same time provide the peace of mind of data security. Now I think of it, “Open the pod bay doors, HAL Einstein” does not sound as scary or menacing as the famous movie quote after all. 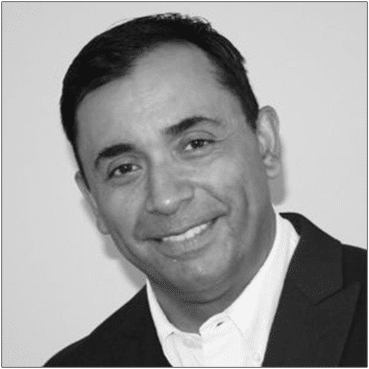 Carlos is Managing Director of Advisory Services at Simplus. He possesses over 15 years of CRM expertise in driving global change management initiatives for Fortune 500-2000 companies in both international and domestic markets. He has successfully managed the full lifecycle of 100+ CRM implementations and trained over 3,000 sales, marketing, and service professionals. Carlos is adept at improving business processes and adding efficiencies by developing and utilizing customized tools and change management strategies. He has been consistently recognized by organizational leaders for his deep understanding of organizational behavior and exceptional communication talents. Carlos is proficient at establishing direction and guidance for solution deployments and demonstrates a talent for defining and implementing corporation-wide procedures and policies to support change.